Pessimism is never a good look. But any beauty editor who pleads innocent to slowly becoming a skeptical shell of a beauty consumer is either 100% lying or conveniently blessed with the most unparalleled patience. Frankly, we'll presume the former. It's not that we don't want to have faith in every single product or treatment we're offered, but there's only so much disappointment one can tolerate before giving ingredients, lofty claims, and "results" an extra-scrutinous side-eye. There's always a silver lining though, and we'd like to think disappointment has actually made us better at our jobs. We've become pickier consumers and significantly more particular when it comes to products, tips, and treatments we tout to you here on Byrdie. Of course, with innovation and creativity at an all-time apex within the beauty industry, trying everything out and weeding the good from the not-so-good has become increasingly cumbersome. Fun, but cumbersome. After almost a full year of beauty-centric trials and tribulations, however, we're finally ready to uncover our previous pessimism and reveal the underrated products and treatments we seriously underestimated this year. Some have even become our can't-live-without, ride-or-die essentials! Curious? Keep scrolling for the must-have products, tips, and treatments that resulted in whiplash-esque surprise. "I've always been dubious of lash-growth serums, mostly because I'm bad at using them consistently and usually give up after a few days of not seeing results (or just forgetting). 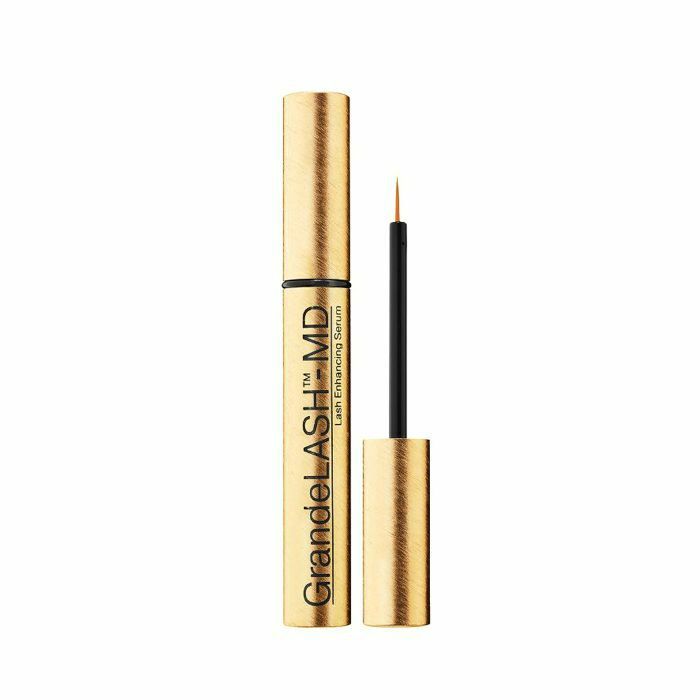 But I swear, after using GrandeLash just once or twice, my lashes looked noticeably longer and thicker. I know it sounds crazy, but this product really works. Plus, since I am seeing results, I'm more inclined to keep using it to keep up the length and volume. Using GrandeLash and getting a keratin lash-lift has made it completely unnecessary for me to get lash extensions ever again, which also means my lashes are healthier now than ever. "I have no idea why I underestimated Glossier so much, but I recently had to eat a big helping of humble pie. 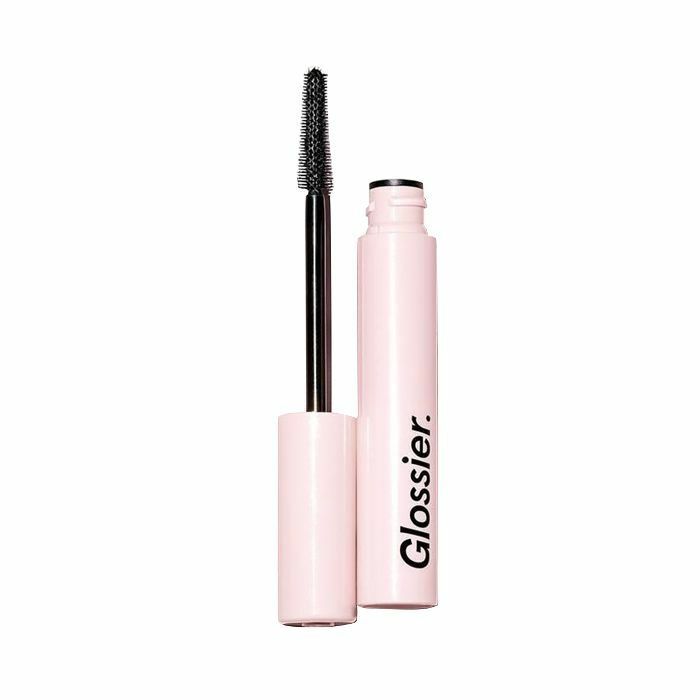 After spending a week using only Glossier makeup for a review, I fell in love with Glossier's Lash Slick. At first glance, I thought it was too natural-looking and not nearly volumizing enough, (I like a big lash), but by the end of the week, I was totally swooning. 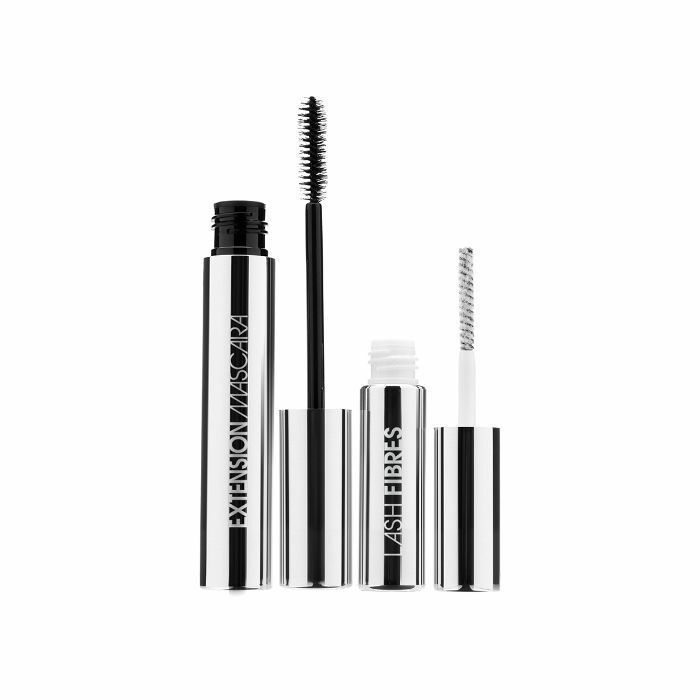 It is natural, and it doesn't create those big, sultry lashes you look for on a night out. 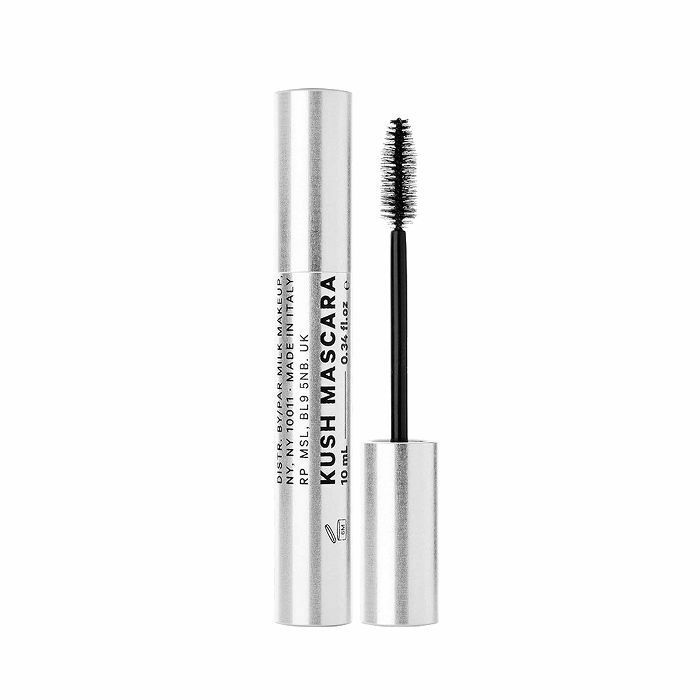 But what it does do is offer up exceptionally separated, super-lengthened, and really fluffy, fluttery lashes. I've always been a mascara lover, so no surprises there, but I'm intensely picky about my formulas and can count on my finger the number of mascaras I've religiously worn and loved over the years. That took a sharp turn in 2018 though. Like Hallie, I also become rather infatuated with Glossier's Lash Slick, and in a very interesting plot twist, I became obsessed with the brush-on-fiber duo from Aussie brand ModelCo. To be honest, I've never met a two-step fiber mascara I've liked (they're typically so messy and disappointing), but this one delivers flawlessly long results. It's ridiculous, and I'd go so far as to say they look better than falsies or extensions. People kind of freak out (in a good way) when I wear it, which is now always. I'd heard rumblings about the pretty, eye-opening benefit of lash-lifts, but as someone who was fairly content with her mascara game (see above) and not a fan of extensions (they're just not my personal brew of tea), I hadn't really pursued a treatment. But when Jenna Alvarez (the angel of a human behind Bare, by Jenna Alvarez) invited me to Hair Little Things for a complimentary lash-lift, I couldn't not say yes. Her work on Instagram looked gorgeous, and I had only ever heard positive things about lash-lifts. Fast-forward, and I'm now obsessed. Lash-lifts are perfect for someone who wants perpetually curled, longer-looking fringe but without the commitment or maintenance of extensions or a daily falsie routine. I'll be writing a full review come January (stay tuned! ), but suffice to say I love waking up with lashes that already look as if they've been curled and coated with the lightest and most natural-looking of mascara. No upkeep necessary. I started taking these gummies almost a year ago on the dot, and I don't think it's any coincidence that 2018 was filled with more good hair days (and compliments!) than I've probably experienced collectively in my entire life. First of all, they're delicious. Second of all, they really freaking work. 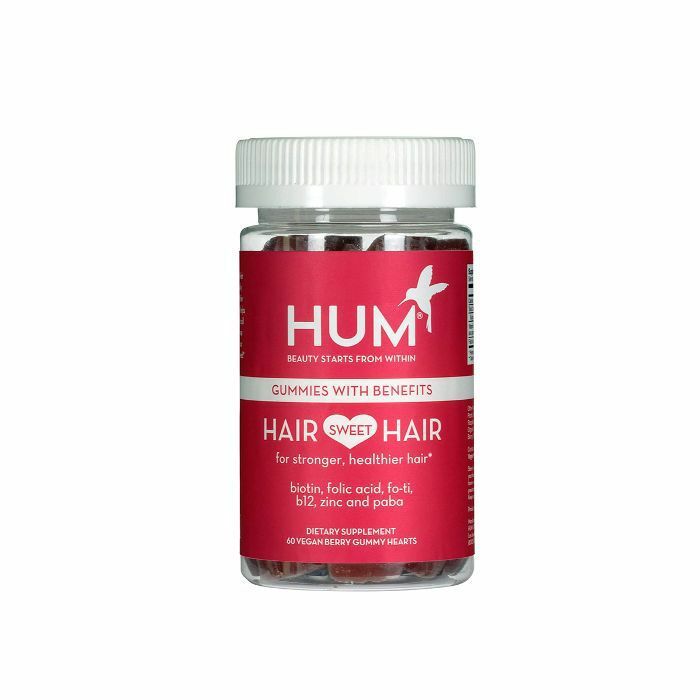 My hair hasn't been this long, shiny, healthy, or stylable since high school, and I fully attribute that victory to these hair-saving gummies from Hum. 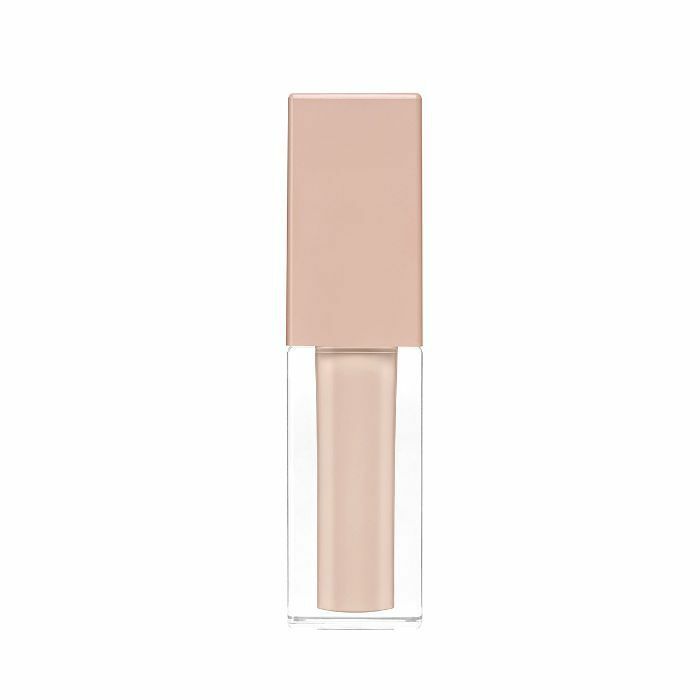 "I figured my fate was cut out for me as a brittle-nailed girl until I recently tried a sheer, pink-peach shade from Zoya's Naked Manicure collection. Rather than serving as any old nail polish, the Naked Manicure system is fortified with keratin fillers and finely ground vitamins and botanicals to promote micro-circulation and oxygen exchange. After applying two coats of the Pink Perfector shade (second bottle from the left) on a whim before shooting some close-up hand shots for Byrdie, I was shocked at how firm my nails were, as if several layers of nail had been magically added. While I'm sure my collection of peach fuzz was quite happy cozily housed on my face, I could not believe my eyes (or my stroke-happy fingertips!) after I was professionally derma-planed for the first time by esthetician and creator of StackedSkincare, Kerry Benjamin. I know I'm very late to the party, but honestly, this is the first party I'm actually so mad I wasn't punctual for. Benjamin's in-spa handiwork instantly shaved (kind of literally) what looked like inches off my face, nixed some lingering acne pigmentation I'd been struggling with, and made my skin feel baby-bum smooth—very much a good thing when you're a foundation lover like I am. 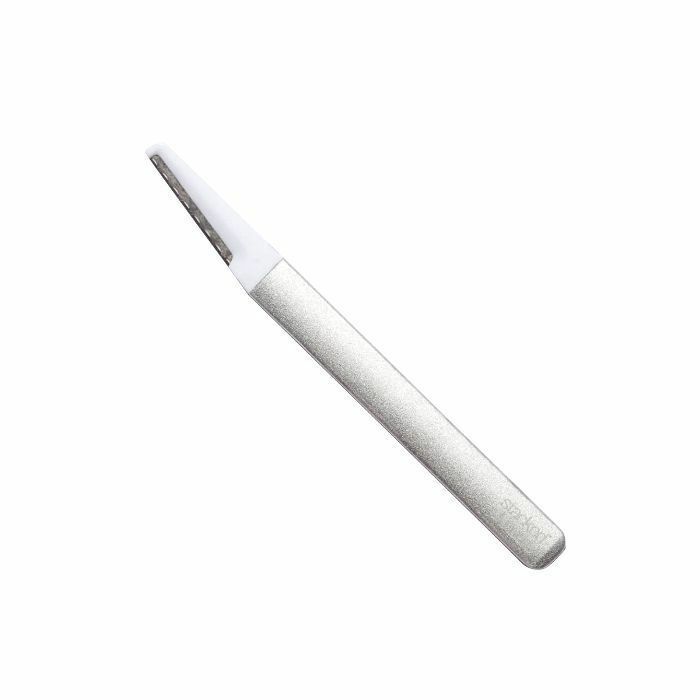 Thank goodness for this at-home tool which yields the same skin-gratifying results. Peach fuzz, you're no longer welcome here. Hey, it's me, Erin, again showing up way too late to the party. Micro-needling: Some people love it, and some people hate it, and frankly, I'd only ever been intimidated by it. Since I have sensitive, acne-prone skin, I'd had multiple facialists steer me away from the popular skincare practice, but when I went in to see Kerry Benjamin (see above blurb! ), she thought my tired, slightly congested skin could benefit. 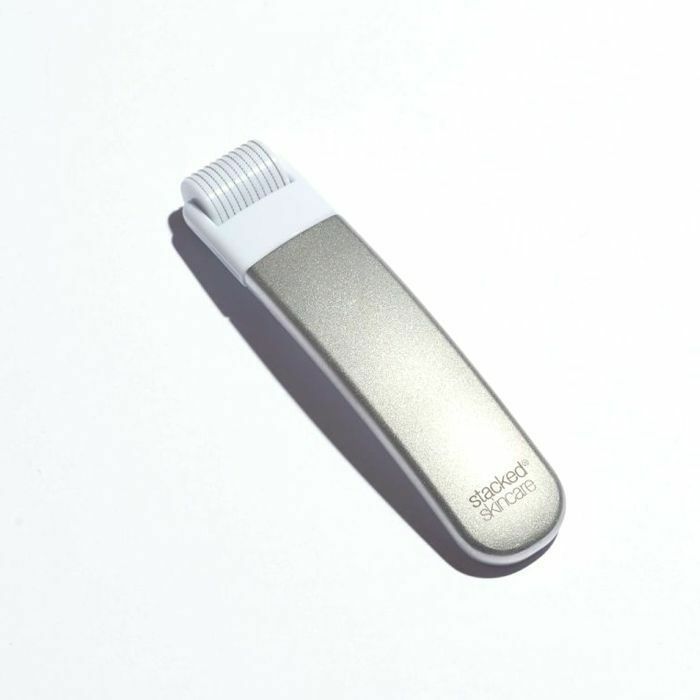 Plus, she was just about to launch this 2.0 version of her infamous and cult-loved micro-needling tool, and we thought it would be fun to take it for a spin. Even though the stainless steel needles and pricking sensation of the device aren't exactly relaxing, and the treatment process did leave me a little red, I could not believe how rosy, glowy, plump, and addictively dewy my skin looked post-treatment—and in the days afterward. Naturally, I took her new micro-needling tool home with me, and it's since become a once-per-week ritual my skin truly looks forward to. Plus, isn't it pretty? "Face oils and I have had an on-again, off-again relationship. 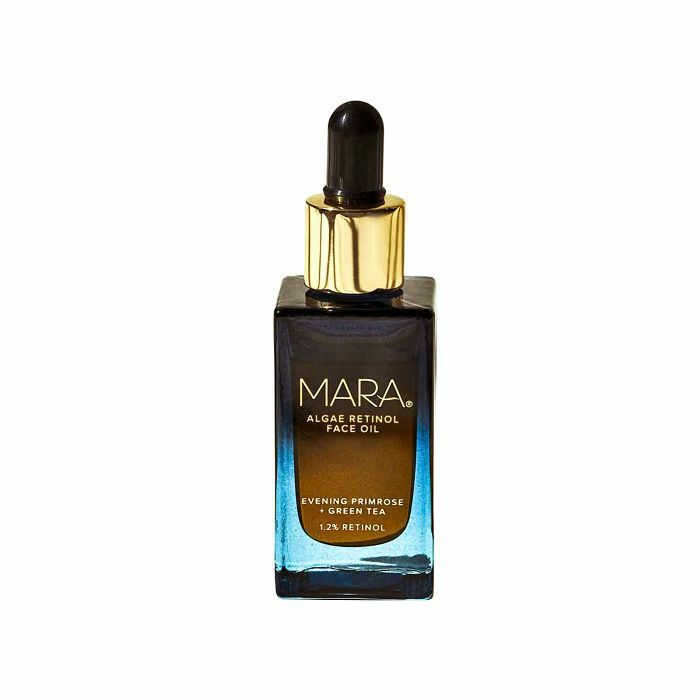 There was one I fell in love with a few years back when face oils started trending in the beauty world, but after a while, I felt like it was too heavy to use in L.A., even in the 'winter.' Then, I moved to New York and my skin had to get used to being in 30-degree temps for months. I piled on moisturizers and stocked up on overnight masks to no avail. I still woke up with a dry, tight feeling. Then, esthetician Georgia Louise suggested I try a face oil. "I am devoted to my Biologique Recherche Lotion P50 1970. I practically sing its gospel every morning as I swab it on my face. It's changed my skin for the better in every way, diminishing pores, keeping breakouts at bay, evening my skin tone, brightening, the works. So when I ran out and the company had the product on backorder, I was admittedly panicked. I'd been using the magical potion every day for over a year. 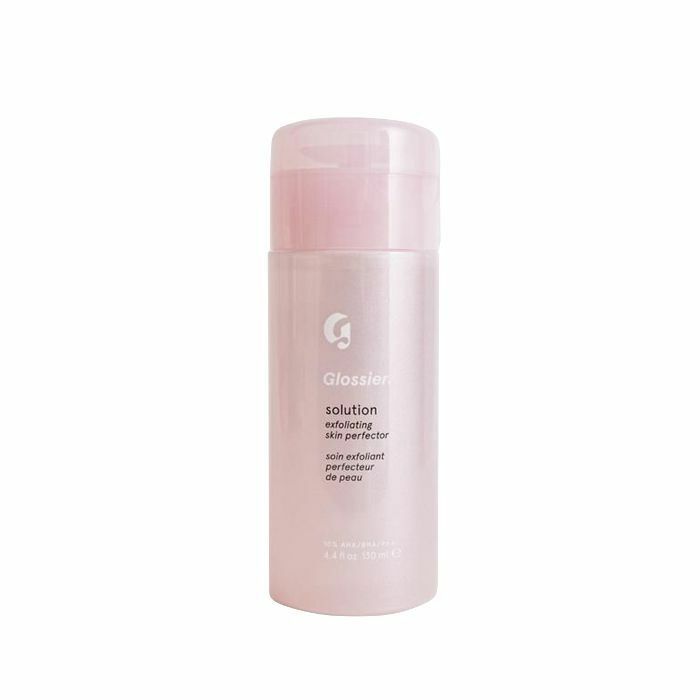 That was when I tried Glossier's The Solution. It had been branded as a P50 peer, a chemical exfoliating toner with salicylic acid to unclog pores, glycolic acid to improve skin texture, lactic acid for discoloration, as well as aloe, glycerin, and niacinamide to calm and soothe. "Cryotherapy, a treatment in which the body is exposed to extremely cold temperatures for several minutes, is rumored to treat pain, a number of skin conditions, and mood disorders. I first heard about the technique a few years ago but never paid it much attention (because it frankly just sounded silly) until I did a treatment at Beverly Hills wellness boutique Next Health. The treatment gave me such an unexpected rush of endorphins and elevated my mood for the rest of the day, making me want to go back regularly whenever I feel immunosuppressed or down in the dumps. 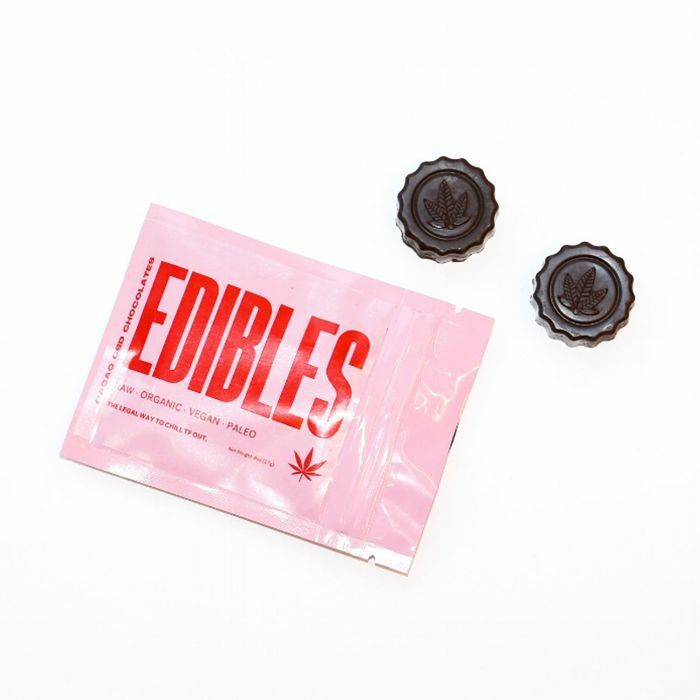 "Admittedly, I was pretty skeptical about the CBD movement at first and wasn't convinced it would impart a noticeable change in my stress and anxiety response. But as I researched it a bit more, I learned that its anti-anxiety effects are science-backed, so I figured it couldn't hurt to give it a try, especially since it's a natural plant extract. "For my birthday this year, I treated myself to lip injections, and I don't regret it one bit. I went to SkinSpirit in San Francisco, and my doctor added just enough to give my pout a little more oomph while still being pretty subtle. This year was truly the year of ModelCo for Team Byrdie, and even though I've honestly loved every single thing I've tried from the brand, the mascara (mentioned above) and this plumper gloss are the two I pretty much use every single day. 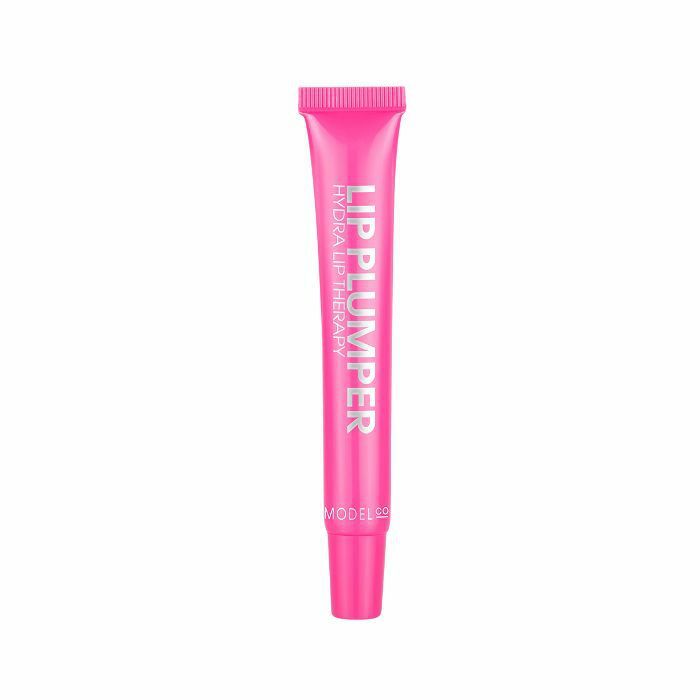 Like Kelly, I also dabbled in lip injections for the first time in 2018 and have been crazy-obsessed with the results but have been equally obsessed with this lip-plumping gloss which accents my fuller pout in a super-flattering and unobvious way. Unlike most plumping gloss formulas, it actually works (how about that?) 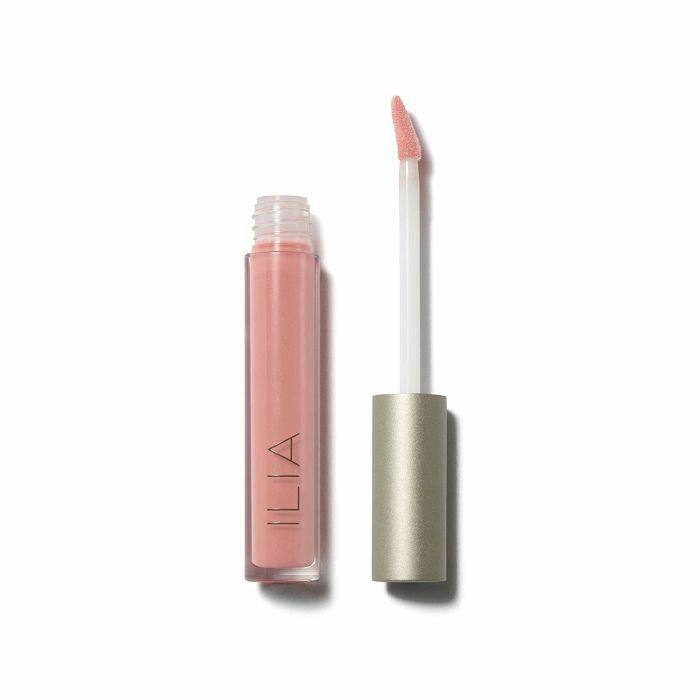 and feels super wearable and comfortable once applied to the lips. I swipe it on first thing when I'm doing my makeup each morning, allowing it to sink in and marinate while I go about all other makeup business. Then, by the time I'm ready to apply my lipstick, any vertical lip lines have completely dissipated and my lips look far more pillowy, smooth, and soft than they did pre-gloss. Also, as a rule, I historically hate gloss, but this one I can totally stomach. I'm not sure, but maybe it's magic?